Publication: April 26th 2016 by Chewed Pencil Press. Synthia (Syn) Wade is a teenage girl who struggles with cystic fibrosis, an incurable life-threatening disease. One day she is pushed into a pond by an unseen figure and wakes up in a new world – a mysterious garden where illness and death don’t exist. Welcomed by the garden’s residents and now free of her symptoms, Syn decides to stay. But, before long, she realizes that this apparent utopia holds many dangers and dark secrets. Surrounding the garden is a fog that Syn is warned never to enter. She encounters bizarre creatures that defy reason. And always lurking in the shadows is a masked woman - a woman who may have a connection to the disappearance of Syn’s parents many years ago. A woman whom no one will speak of, but whom everyone fears. 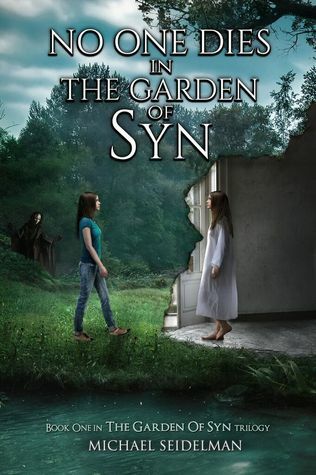 While No One Dies in the Garden of Syn, Syn will soon discover that some fates are worse than death. This was definitely a breath of fresh air! It is sort of unique and is different. There are twists and turns at every corner of this story! Hold on as it promises to be a fun ride of a new series! Syn has cystic fibrosis. The story caught my attention because of it. My daughter’s good friend growing up has CF, so I was intrigued by it! Synthia (Syn) was five years old when her parents disappeared. Now she lives with her aunt. Knowing that she will not likely live a long life she seems to keep her heart locked away a little. She struggles with eating because of CF and breathing and lots of coughing and phlegm. She is hospitalized a lot. She is used to the meds and the routine of her life with CF. One day she is sitting at her pond and then someone from behind pushes her in. She thinks her life is over. Then she awakens, she is definitely not in Kansas anymore! She is somewhere that is just like home but isn’t. But the best thing is, she can breathe and run and eat! Even though she should be happy, she is sure her aunt misses her and needs to get home. Cole is the boy who found her. He is the first encounter of something different there. He is half olive skinned and half pale skin with different hair color on each side as well. But he is kind and flirts with Syn. Syn needs to get home though. But everything seems nice at first then there is also danger at every corner. There are creatures that are half human and half something else. There is a woman with a mask living in the house that looks just like hers. This woman dubs herself the queen and everyone fears her. The Garden that is now Syn’s home is surrounded by a fog that also carries dangers if you enter it as not everyone returns. This world carries some modern amenities and lacks others. It is entirely baffling and when you read it you are given lots of clues, but as the answers come, so do more questions. I love it!! There is some romance, some danger, lots of world building and then some, and lots of friends and enemies made. I can’t even tell you half the stuff I read because it would spoil it for you, but just know that it kept me reading and before I knew it the book was over. I can’t wait for the next one to come out! This is a story for anyone. There is a little violence. When Michael was growing up, his passions were reading, watching movies, enjoying nature and creative writing. Not much has changed since then. 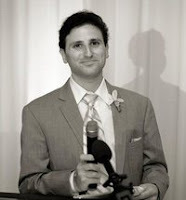 Working in Online Marketing for over ten years, Michael felt it was time to pursue his passion as a career and wrote the first book in The Garden of Syn trilogy.Getting up every morning and sitting down to create new characters and bring new worlds to life is the most fulfilling job he’s have ever had. He is currently writing the second book in The Garden of Syn series and, beyond the trilogy, has many ideas plotted out that he looks forward to sharing with the world! Michael was born in Vancouver, BC Canada where he continues to reside.